Those who have laced up boots or buttoned an Armed Forces uniform in service to our nation know all-too-well the difficult and tough terrain of the transitional military life they lead. 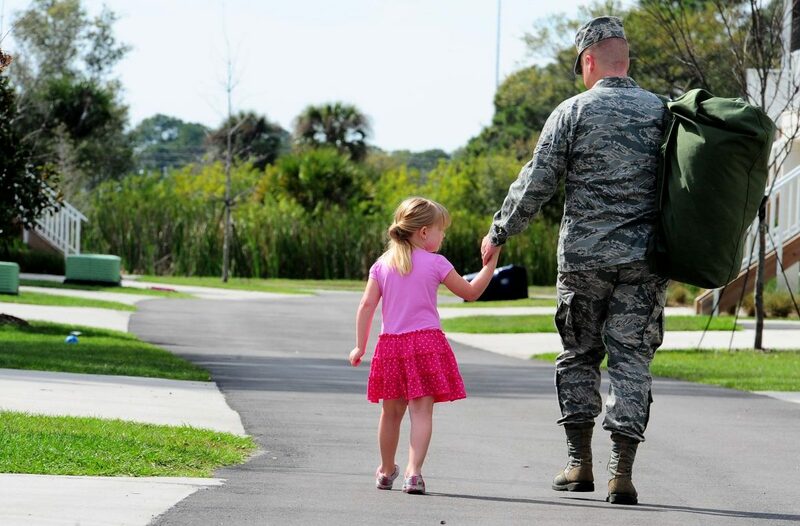 How do military transitions affect relationships, especially in marriage and family life? Larry and Bobbie Simpson: Both positively and negatively—it depends on the perspective others take with any transition. But not all transitions are timely. Some come too frequently and can leave long-lasting effects for couples, who may be struggling to gain or restore their footing. Personally, the awareness that God orchestrated or allowed the move or change strengthened our hope for more fruitful relating in our next location. Chet and Michelle Arnold: There are different types of transitions, and different types of effects, and ways to mitigate them into positives. Though not a military transition, an important context for steeling relationships against challenges, especially in marriage and family, is to be “in” Christ and living in obedience to Him (Romans 1:5). Sometimes people marry a non-Christian or are not Christians when they marry. Perhaps they were in Christ, but not living in Spirit-filled obedience. Marriages centered in Christ can increase in resilience several orders of magnitude. Hous and Tami Waring: All transitions in life are brought about by God for our good. They take us outside our comfort zones, our skills and resources, and keep us grounded in remembering God will take us through transitions we don’t know we need. They force greater communication in marriage, take us out of the quiet atrophy of a daily normal, and reveal that we are people with besetting sins who must daily preach the gospel to ourselves. Our obvious transitions included: singleness to marriage to parenthood, and job changes, such as Tami’s toughest “shock” from active duty captain to wife and mother. Simpsons: Promotion-related transition, with or without relocation, often stresses already strained marital relations. The intention of placing a higher priority on the spouse, spending more time with the kids, or more faithful church attendance as a family suddenly slips priority-wise—career again demanding the best, family and faith settling for leftovers. 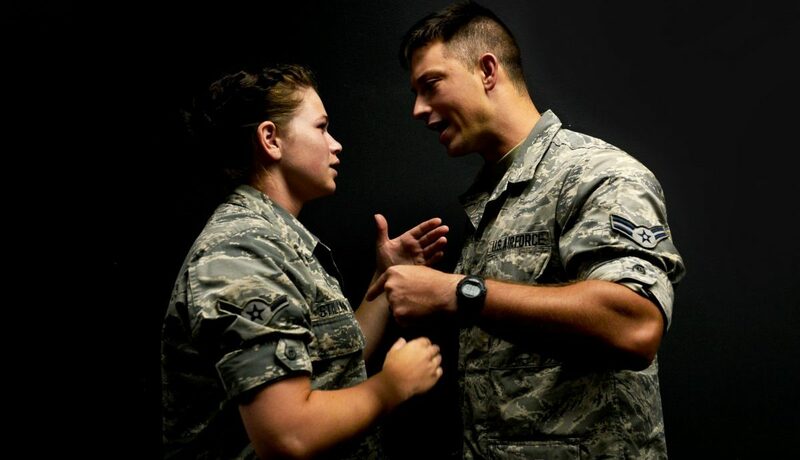 A spouse may feel unappreciated for their demanding job, while the other may be losing hope that the marriage or family will ever come first for their active duty spouse. Arnolds: Depending on the service culture, promotions can have a dramatic transition affect. All of a sudden your friends are no longer your peers! PCSing is another significant transition, and the effects vary by personality type and life experience. Well-handled PCS stressors within the marriage have a concomitant positive affect on the children. Parents must prayerfully, carefully bring their kids along on what can be an exciting family adventure. Simpsons: An optimistic, expectant attitude can provide relational boosts. Traveling between assignments—spending quality time together on the road, with car games and mini vacations in hotels—can serve as a life-line to help loved ones reconnect and get back on track. Warings: We wanted our kids to know the same truth about change that we hold fast to—that it is God’s good providence for them to experience change, to endure long days of packing and unpacking, to learn how to say farewell to dear friends, and to love new kids who aren’t exactly like them. Simpsons: To thrive in relationships, choose to face transition with gratitude and a positive outlook. Trust that God is working something good on your behalf. Before and following each transition, pray with your spouse, using Pray, Discover, Obey. Ask God to help you know His heart and for courage to obey His will for your life. Arnolds: Communication requires intentionality, and this is particularly true during times of separation or assignments to duty stations with long work hours or in sequestered spaces. Recognizing potential negatives and purposely working them into positives will make for stronger communication in relationships, even in the midst of difficult periods. Couples that pray, memorize Scripture verses, and read a devotional together—all effective with today’s technologies—are important ways to keep a Christ-centered marriage. It’s important to include children in communication that affirms them. Warings: For our marriage to thrive, we needed to learn (and are still learning) to enter a rest (Hebrews 3:7-4:13) that is found in right relationship with God the creator and sustainer of all things, and knowing peace with Him through faith in Jesus Christ. It’s by faith—not by better planning efforts, nor by accumulating more resources to face the days ahead. The Simpsons, Warings, and Arnolds serve OCF as Field Staff couple reps. The Simpsons minister in Puget Sound, Washington, and also head up OCF’s Family Outreach ministry. The Warings and Arnolds minister at Maxwell-Gunter AFB, Alabama, and Pensacola, Florida, respectively.